I am celebrating: several decades ago, on March 24, my parents gave life and breath to me. They taught me to care for the Creator and creation. The joy I have in sharing my work with all of you comes from them. I miss my parents Hubert and Lucille Tinsley, but hopefully they live on in my efforts to bring a sampling of the vibrant life around me to each of you. 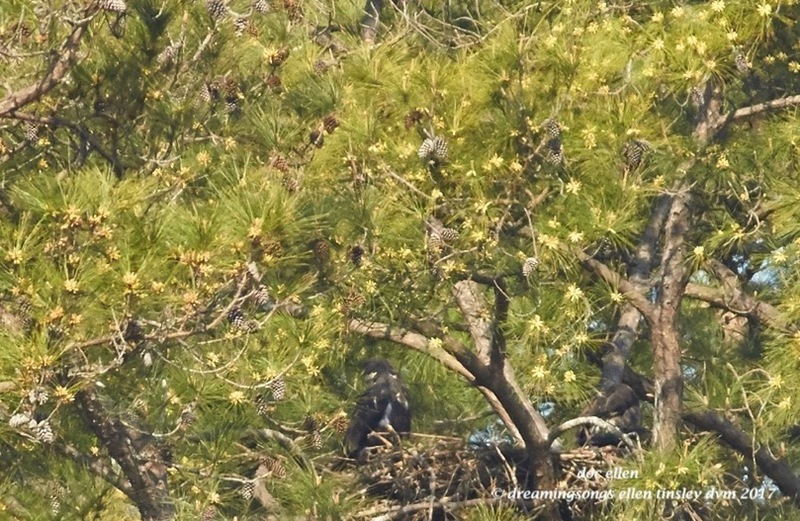 Posted in birds, eagle families of Jordan Lake, Eagles of Jordan Lake, Jordan Lake, Jordan Lake State Park, photography, raptors, wild birds and tagged as American bald eagle, bald eagle, bald eagle chick, bald eagles of Jordan Lake, eagle, eagles of Jordan Lake, immature bald eagle, immature eagle, Jordan Lake, Jordan Lake State Park, raptor.